The blue house at S-Turns fell in the day after the storm. These groups are here on the ground helping every day. Your donation will go a long way in helping our community. Thank you for your continued support during Hurricane Irene. Highway 12 with the new S-Turns inlet in the background. Storm Surge : Rodanthe received a 10ft sound side storm surge. 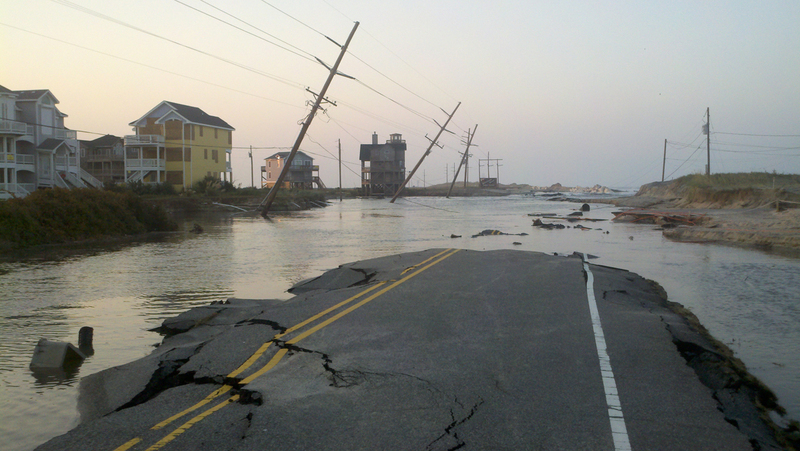 Why was Hurricane Irene so destructive? : With peak winds of 88mph, it was only a Category 1 hurricane, and most dismissed it there. The path of the storm, combined with the fact that it stalled in the worst place (While it was blowing 88mph out of the WSW) meant that instead of the water peaking at 6pm as forecasted, it kept rising until 1:10am. The dry before the surge. ESE winds on the front side of the storm blew all the water away. WSW on the back side of the storm brought a 10FT surge. Living in Cape Hatteras, we have forced ourselves to make a hurricane evacuation plan that would allow us to keep things going even in the worst case scenario. The plan is pretty easy in theory. Matt Nuzzo takes a team off island to service our customers and website, and Trip Forman stays on site with a crew to break everything down, minimize damages during the storm, then post storm evaluates/repairs the damages and gets the site re-opened. At the peak of the storm surge, the water in the center of Hwy 12 was around 7ft deep. While we were out helping people during the storm, I jumped off the jetski to clear the debris from the intake grates and went in well over my head. The water rose another 3 feet after this photo was taken. Our last rescue was at 12:30am in the peak of the storm. Asa Gray, our neighbor, signaled me by flashing his spotlight across our properties. He was worried because he hadn’t heard from his brother Rudy and he knew they were in trouble with the rising water. We had to take Rudy and Betty Gray through a window of their house and onto the ski to escape the floodwaters. When we got to their ground level, single story home, they were standing on their bed with the water rising quickly around them. No lights or electricity, it was pitch black with just the howl of hurricane force winds and the uneasy feeling of water slowly consuming their home. We took them by jetski to a neighbor’s house that was elevated well above the water. When I look at that house today and spot how high up the stairs we dropped them off, I still can’t believe it. When we got back to REAL, the water in between REAL and Watermen’s was above the last step up to the REAL deck and above the door handles on the Watermen’s stairwells. There were breaking waves driving through the gap between the buildings, with gusts well over 100mph funneling between REAL and Watermen’s. The jetski docks (luckily without the jetskis on them) rose OVER the three pilings that keep them in place and floated two properties away. 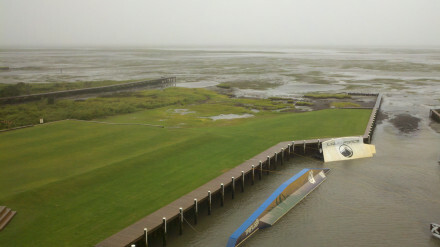 All of the REAL Slider Park, except the JWCF A-Frame, broke loose from the boat basin and ended up as far as three blocks away. 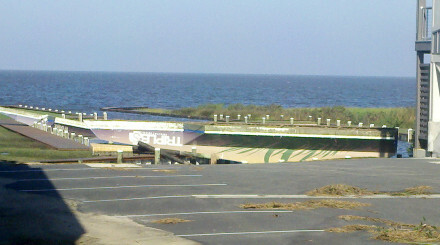 The JWCF broke into three pieces, and we found one of them spanning the boat ramp upside down at first light. We were lucky at REAL and Watermen’s due to the height of our buildings and the solid construction of our foundations. We didn’t get any water inside. If the water had risen another 2” inches it would have come inside REAL and Mojo’s. Those that had their homes on ground level, and even some that were up on pilings fared far worse. Once the water goes through your home, everything has to be removed. You see this on flood commercials, but to live it in real life is a completely different story. As the debris removal trucks continue to take it all away, we start to see the grass sneaking through and life slowly coming back to normal. 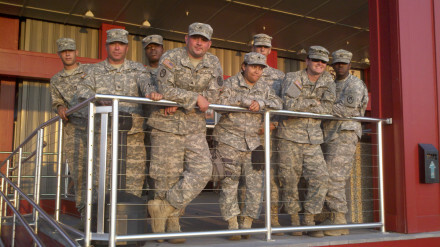 The National Guard paused to enjoy some tacos at Mojos Taco Tuesday. We woke up August 28th with no power, no internet, no cell service, no nada. The sun rose at 6:17am and set at 7:25pm. For almost a week we were limited to working through the daylight hours and trying to get a little rest during the darkness. Five days after the storm we received our REAL emergency responders. Pat Kasic (IT Specialist) , Zack Johnson (Shipping Manager), Johnny McIntosh (Retail Manager), and Jason Slezak (Team Rider and REAL Slider Park Manager). Watching these guys come over the horizon was like a scene out of a movie. I am not sure who was more shocked, us or them. They could not believe the devastation, and we could not believe that we were being handed ice cold beer from a cooler that had ice in it. They threw their hat in the ring and went straight to work with Efrin, Lulu, Sammy, and myself (we all stayed and rode out the storm). The days since Irene have been full. The work has been anything and everything, just pick a job and get it done. When you burn out on your project, go to your neighbors and help them with something. When that is done, repeat. Follow that with a surf or kite sessions until dark, dinner and then pass-out. It’s been like this every day since Irene, except the day of Sammy and Jen’s wedding. That day included a 50-mile round trip ski ride and then partying until 3am. The two things that get us through the day, are the meals with friends and the sessions. Introducing Mr and Mrs Samuel Clyde Bell. 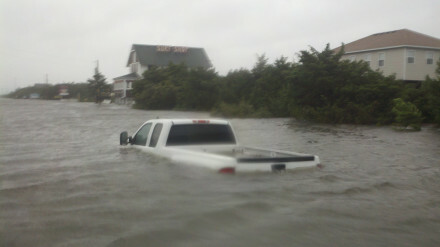 The only thing that Irene didn’t negatively affect was the ocean. In fact, it improved it. The new inlets at S-Turns and the Ranger Station provided an outflow of sand that formed perfect A-frame waves like we’ve NEVER seen here. For an 11-day stretch, I never saw a wave close out. It was that good. I surfed my Rawson Stinger Single Fin for the Katia swell. By the time the swell was gone I told Pete Hardie that I could nail that board to a wall and never surf it again. So many waves, such good waves, only friends in the water and not a drop of water out of place. It was sessions like these, day after day, that helped us keep our sanity while we were knee deep in debris digging out every day. REAL Team Rider Matt Keenan enjoying some post hurricane perfection. Hurricane Irene has really dropped the barriers between everyone in the Tri-Villages, and we see everyone helping each other out on a daily basis. The Rodanthe-Waves-Salvo Community Center has been the base of operations for all aid, relief, hot meals, showers, etc since Irene for those that were ousted from their homes by the storms. The guys from Mojos have been up there cooking meals for over 900 people at a time, all for free. The Liquid Force Wall Ride takes a trip to the Highway 12 debris pile. We even hosted 2 “Taco Tuesdays” here at REAL with Mojos serving it all up all for free. Amongst all the carnage, those were some fun nights where people could hang out, relax and blow off some steam. 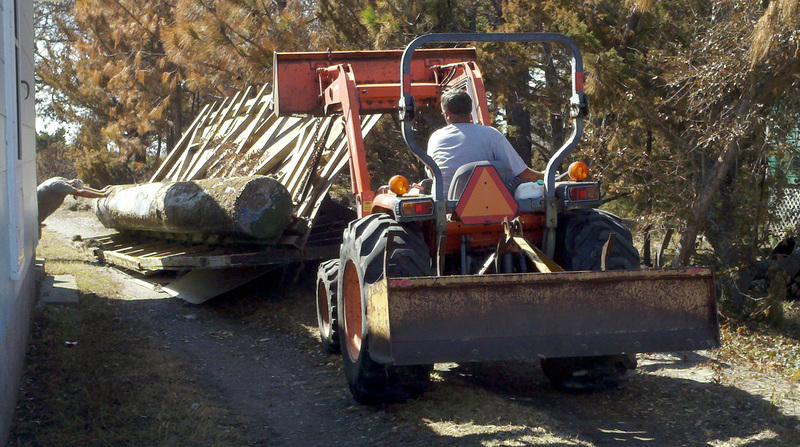 When we had to bring the REAL Slider Park to the debris pile on Hwy 12, we had heavy machine operators from Buxton, Avon, Waves and Rodanthe donating their time, skills and machinery to help us get it done. No cash exchanged. Cold Miller High Life’s go a long way when it’s this hot. THANK YOU guys for all your help!!! 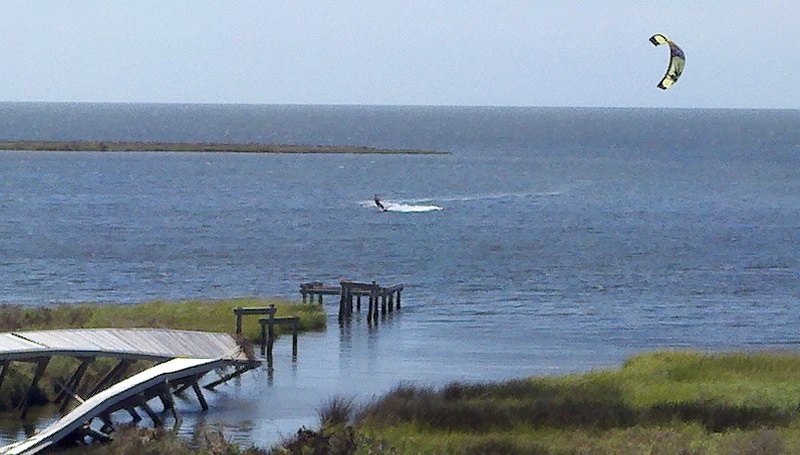 Looking forward to Fall and the return of Visitors to Cape Hatteras! Right now, REAL is OPEN 7 days a week, answering calls, booking camps and shipping orders (via Fed Ex and UPS leaving the Stumpy Point Ferry). The first day we shipped orders post storm was September 1st. 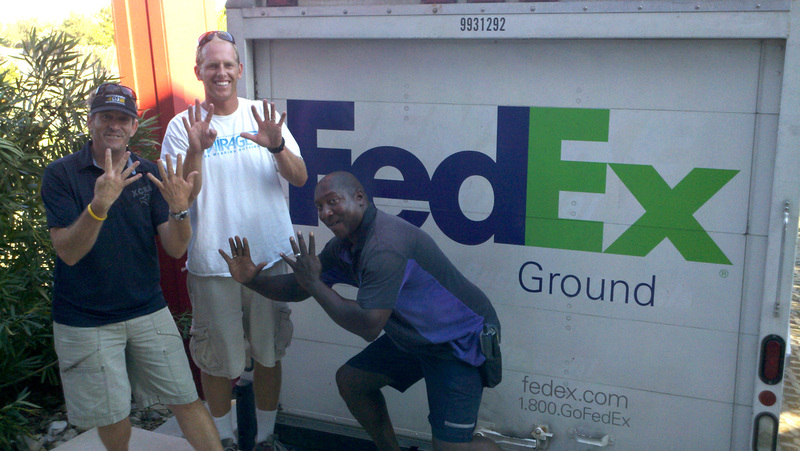 We shipped 54 orders with Fed Ex Ground that day. That was a pretty big day considering we did it with no power or internet. Our shipping manager Zack Johnson had a mining light strapped to his head, picking and packing orders through the night to make the deadline. 54 orders shipped on September 1st! Since then, things have dramatically improved and we’re back to normal with power, internet and today (30 days after the storm) we opened the REAL Flagship Store for regular 9-6pm walk-in shop hours. 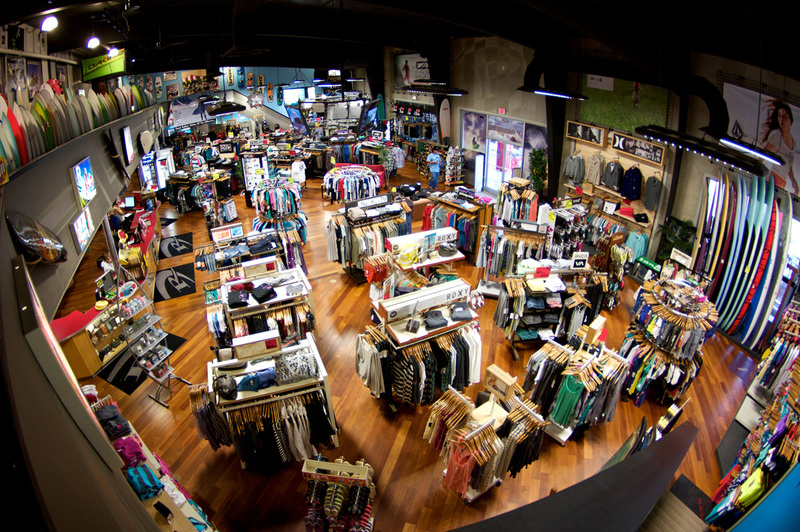 The shop is looking GREAT with all the new 2012 products, Fall and Winter clothing, plus new wetsuits, boots and gloves to get us through the winter. The water is still really warm, the wind is blowing and the surf is up. Today’s surf was glass and chest high and it have been SW in the high teens all afternoon. The SW wind is the same. Some of the piers are not. 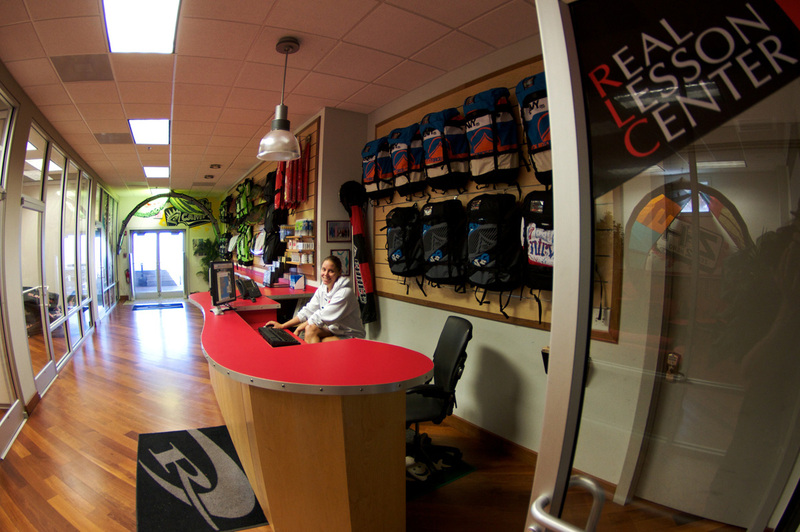 The REAL Lesson Center is also OPEN and we’ve been teaching people who have been on the island already who want to learn how to kiteboard, surf or standup paddleboard – insurance adjustors, local residents and property owners who want to learn how to kiteboard. If you’re looking to get on the water, please give us a call and we’ll make it happen! 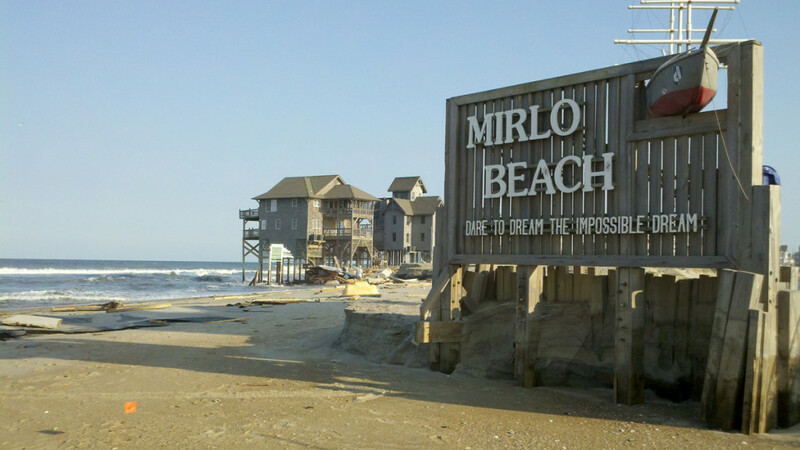 The Tri-Villages remains closed to tourists, but Avon, Buxton, Frisco and Hatteras are seeing regular traffic. We’ve been delivering online orders daily to those villages for people who need gear or accessories. 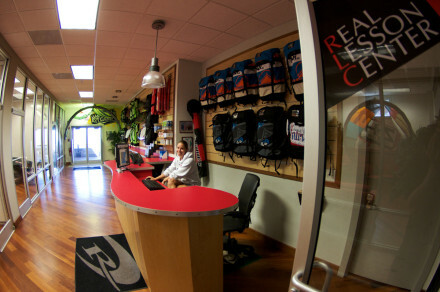 The REAL Lesson Center is OPEN teaching lessons and camps daily. Work on the new bridge across the Ranger Station Inlet is moving fast. They’re more than halfway done and have October 6th as the first potential date for bridge crossings. The completion of the bridge is when you’ll see the Tri-Villages re-open to visitors. October and November are looking like a full-on session mega-months! Cape Hatteras regulars are PUMPED to get back onto the island and can’t wait for the bridge to be completed! We can’t wait to get everyone back here, share some stories and take some SESSIONS!! The REAL Flagship Store is OPEN 9am-6pm daily, 7 days a week. 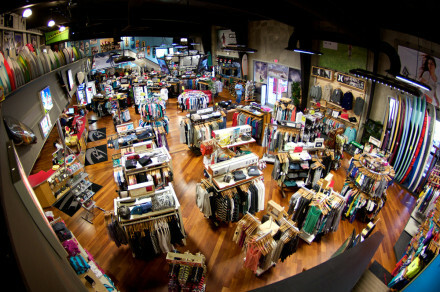 All the new 2012 gear has landed and the shop is looking insane! THANKS to everyone for all your support during Hurricane Irene! We keep persevering every day and will do our best to help make the community whole again! We’ve got a long road ahead of us, but the people who live here are a strong bunch and love the island. PS: THANKS to our off-island support team (who are now all back on-island!) who kept us connected and moving forward from their evacuation bunkers offsite. The teamwork among the entire REAL staff was incredible over the past month. 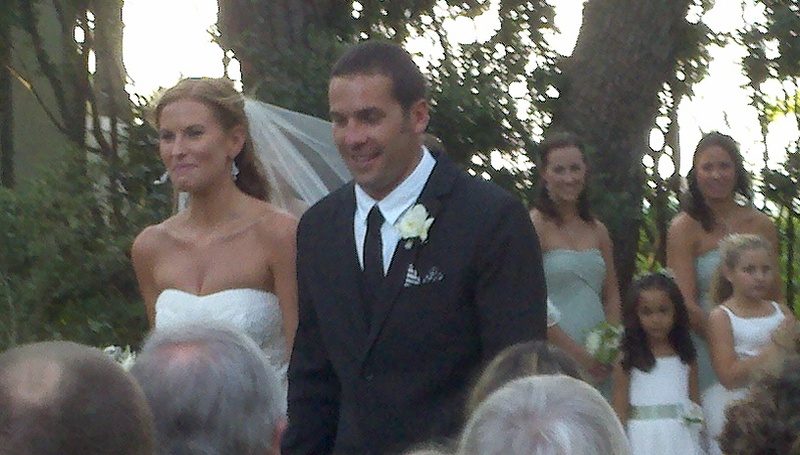 PPS: I couldn’t do any of this without the support of my family. THANK YOU Brittainy, Annabel and Nova and also to Dave and Spunky Loop who gave them a roof over their heads during their evacuation off the island. For those of you that know Brittainy and her love of paper, she has reached a whole new level, but just seeing her and Nova every day helps keep the important things in perspective.